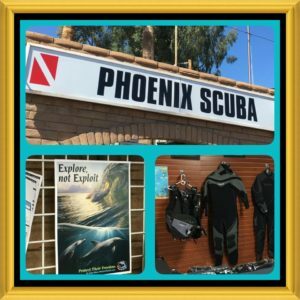 Earlier this week, we launched our “Explore, Not Exploit” poster campaign with two local dive/scuba shops in the Phoenix area. We’re excited to report that since then, two more shops have agreed to display our poster in their store windows. 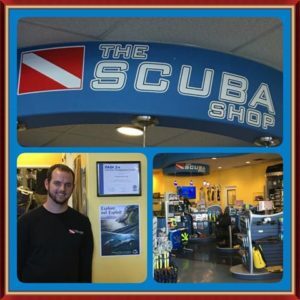 Much thanks to The Scuba Shop in Mesa (www.thescubashop.org) and Phoenix Scuba in Phoenix (www.phoenixscuba.net) for joining our effort to encourage responsible, impact-free exploration of the sea. This campaign means a lot to Plea for the Sea, because divers have first-hand appreciation for the unparalleled beauty of our oceans and why conservation is so important. Rather than try to get a first-hand experience with ocean life in an artificial setting like an aquarium, dolphinarium or other marine park, we strongly encourage people of all ages to try to visit the ocean. Here in Arizona, we’re so lucky to be only a 5-6 hour drive (and an even shorter flight) from the Pacific Ocean. More and more people are forgoing the expensive entertainment parks in favor of taking a brief trip to the beach as captivity wanes in popularity. The dive shops supporting our “Explore, Not Exploit” message not only offer scuba training and certification, some even organize dive trips to gorgeous reefs, coves and open waters. If you’re looking for a natural, once-in-a-lifetime interaction with the denizens of the deep, consider checking out these fantastic shops for more information!